The new European allies of Sierra Nevada Corporation’s Dream Chaser have officially announced “cooperative understandings” that not only combine a transatlantic engineering boost for the baby orbiter, but may also result in Dream Chasers hitching rides atop of an Ariane rocket. More importantly, the announcement provided extra details on the vehicle’s future ambitions. The Commercial Crew contender is currently focused on winning through an upcoming NASA downselect to press forward with the return of domestic crew transportation from US soil to the International Space Station (ISS). 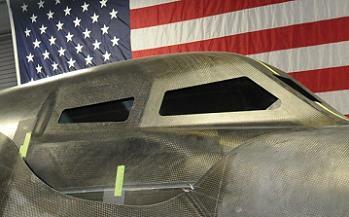 However, Dream Chaser has many strings to her bow, just like her since-retired relative, the Space Shuttle. 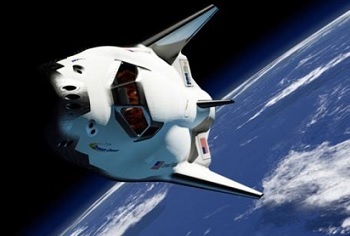 The vehicle’s ability to launch both crewed and uncrewed, to various orbital freeways and destinations has won the affections of numerous entities, in turn providing a level of financial security, in the event Dream Chaser fails to win continued NASA funding from the Commercial Crew Program (CCP). 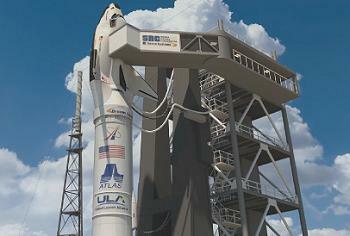 While Mark Sirangelo, corporate vice president and head of SNC’s Space Systems, believes his vehicle is winning the NASA race – one where Dream Chaser is pitted against SpaceX’s Dragon and Boeing’s CST-100, SNC is placing its fingers in many other pies, in order to fully utilize their spacecraft’s future aspirations. 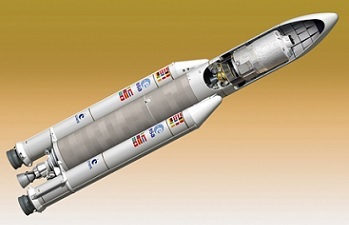 While there has been talk of external deals for some time, Wednesday marked the official announcement of an agreement with the European Space Agency (ESA) and the German space program, DLR. Although the announcement only confirmed the “cooperative understanding” between the new partners, the deal is a step in the right direction for Dream Chaser, as the Colorado company taps into the engineering expertise at the European powerhouses. 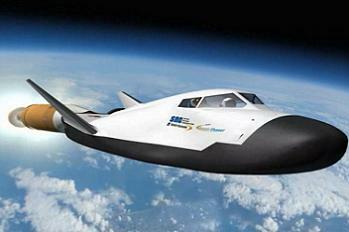 The outline of the agreement is centralized on the potential application of European technologies to both the current Dream Chaser design, and advanced derivative versions of the vehicle. “This international collaboration will also help define missions outside the Dream Chaser’s primary mission of ferrying U.S. and partner nation astronauts to low-Earth orbit,” noted SNC in a release. 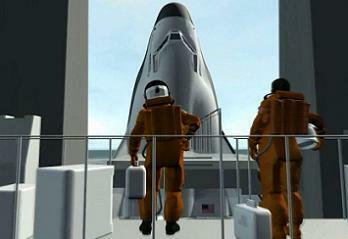 Examples were provided in a related teleconference, with references to how the Europeans may be able to offer a lighter version of the Thermal Protection System (TPS) that is currently allocated to the future Dream Chaser fleet, adding to the potential upmass the spacecraft could loft uphill. Docking to the ISS was also focused on, specific to ESA’s International Berthing Docking Mechanism – an advanced docking system that actively captures and provided the seal between the vehicle and Station. 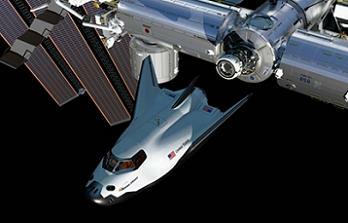 The announced deal opens up cooperation between SNC and ESA on how to implement such a system on the Dream Chaser. However, by far the most interesting comment came from Jan Woerner, the chairman of the German space agency (DLR), who appeared to confirm studies into launching Dream Chaser on an Ariane rocket. “It could even be possible to launch the Dream Chaser – with some minor changes – from within the fairing,” Professor Woerner added, clearly citing an unmanned mission for the spacecraft. “But that would mean the Dream Chaser would have to be changed a little bit, because the wings are a little bit too big. Professor Woerner stressed they had only looked at simulations. A reference to Dream Chaser being too heavy was later revealed as a joke about a civil engineer using concrete, not about the spacecraft. It’s not the first time the Europeans have looked at launching a space plane atop of the Ariane rocket, as seen via the ill-fated Hermes program. Notably, such a possibility of Dream Chaser riding with a European launcher is long into the distant future, with the current evaluations focused on riding with the United Launch Alliance’s Atlas V – as per the proposal in the Commercial Crew Program (CCP) drive. “Today marks a special day for SNC,” added Mr. Sirangelo. “With the start of these new relationships with ESA and DLR we are able to continue to expand the Dream Chaser Space System globally. Mr. Sirangelo also took time to update the current status of the program, noting the Dream Chaser Engineering Test Article (ETA) is currently on her way back to SNC’s base in Colorado, following her test flight last year. With all the main objectives passed with flying colors, Dream Chaser passed the final NASA Commercial Crew Development Round 2 (CCDev-2) milestone requirement. Although the landing suffered a failure of the port landing gear, resulting in the vehicle hurtling off the runway, in turn causing a large amount of cosmetic damage, Mr. Sirangelo pointed out the test timeline is actually a few months ahead of schedule, thanks to the multitude of data collected during her debut flight. The upgrade of the ETA will result in her changing call signs from the Block 0 to the Block 0.5. 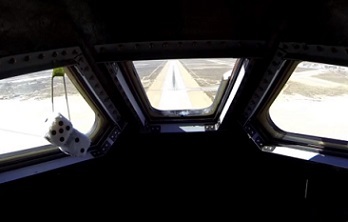 A final Californian test will involve a crewed high altitude approach and landing in 2015, with the ETA upgraded to the final Block 1 configuration. This upgrade will overlap with the final construction work on the Orbital Test Vehicle (OTV) version of the Dream Chaser, which will ride atop of an Atlas V for an uncrewed test flight into space. This vehicle is currently being manufactured at the Michould Assembly Facility (MAF) in New Orleans, per their association with Lockheed Martin. 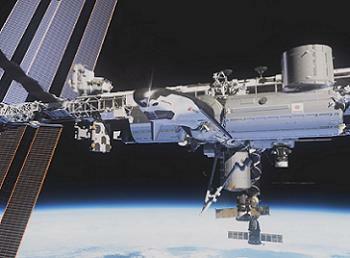 Known as OFT-1 (Orbital Test Flight -1), Mr. Sirangelo noted this should take place in late 2016, with OFT-2 following in early 2017, carrying two crewmembers to the ISS for docking. “We expect the first orbital launch to occur in 2016 – which will be an unmanned autonomous mission and we’re expecting our first human certification mission in 2017,” he added. All of these test flights will lay the foundations for the final fully operational version, the Dream Chaser Space System (DCSS), which will be the baseline design that can foster several variants to account for potential NASA, ESA, Military, and customer specific applications. It is understood the DCSS systems can be tuned to specific applications and requirements, such as extended duration flight and fully autonomous missions. “What we are doing with NASA is primarily looking at transporting crew and cargo, but what we’re also looking (at Dream Chaser) as a utilitarian vehicle in space,” Mr. Sirangelo continued. The goal is to allow the DCSS to play several roles, such as being a space taxi to a private station, payload delivery and retrieval not unlike her Space Shuttle relatives, along with the capability to deploy telescopes or lab experiments. “Those (new customer) markets fall in to three main categories: Working in space, discovering in space and observing from space. We’re looking at satellite deployment, debris removal, being able to deorbit or reposition things in space and potentially being able to construct things in space,” added Mr. Sirangelo. “We’re able to turn our vehicle into a mobile laboratory, and we’re calling that Dream Lab. That would allow us to contemplate a series of microgravity experiments in configurations that could conduct short, medium and long term missions. We might also be able to do direct observation in space.